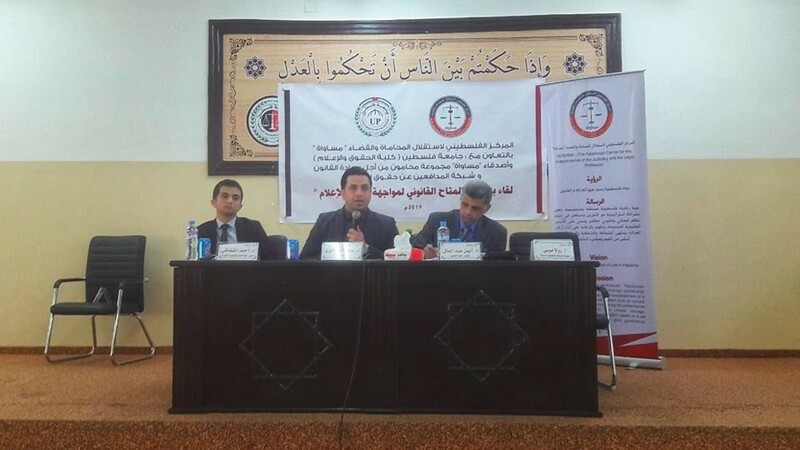 MUSAWA- the Palestinian Center for the Independence of the Judiciary and the Legal Profession held the monthly meeting for the members of the Lawyers for the Rule of Law Groups (Friends of MUSAWA) and the Palestinian Human Rights Defenders- PHRDs Network in Gaza. 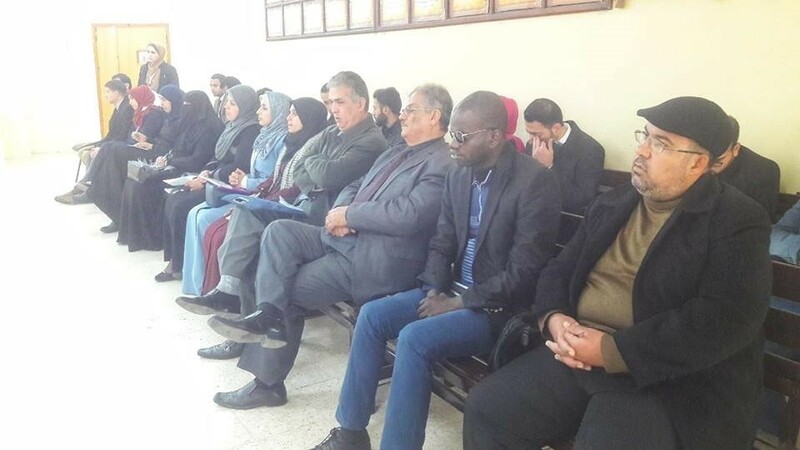 The meeting was held on 22/1/2019 at the moot court’s hall in the faculty of law at Palestine University, and it was attended by 41 lawyers, including 11 female journalists and lawyers. The meeting was opened with an opening statement that aimed at introducing the groups’ work, their monthly meetings, and the violations monitored in December 2018 and January 2019. Those violations included the attacks against journalists, their equipment, and the press/media headquarters, in addition to threats to journalists working in the field of investigative journalism, and a large number of political arrests carried out against journalists in the Gaza Strip. In cooperation with Palestine University, the meeting comprised a special lecture entitled “The Available legal Approach to Address the Restriction of Media”. The lecture included three main statements provided by Dr. Ayman Abdelaal, who touched upon the legal protection of media, Dr. Ahmad Alshaqaqi, who addressed the academic development of media students, and the media figure, and Mr. Mohammad Alsawafifi, who addressed the obstacles and challenges facing media and press professionals on the ground. Reiterating MUSAWA’s vision on the need for uniting efforts to stop the violations against the right to freedom of opinion and expression, and the need to press for adopting the Palestinian Human Rights Defenders’ Declaration. Revitalizing the role of the Press Association in defending the rights of its members and all press/media professionals, enabling them to discharge their mission, and stopping all forms of assaults and violations against their rights that are encountered as a result of their mission. 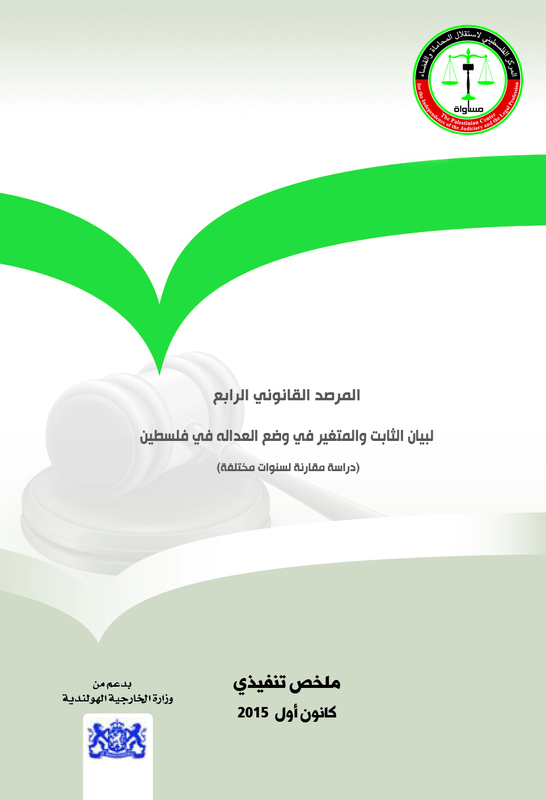 Integrating the media code of conduct, guarantees for its independence, and the legislation governing it in accredited academic courses of the law and media faculties. Developing the professional and legal capabilities of media professionals, and organizing sustainable development programs in this regard. Integrating the role of media in development, enhancement of participation and protection of rights, in the academic coursed of schools, colleges, and Universities. Prohibiting the suspension of journalists because of their work, and providing guarantees of legal and community protection for them.